India will retains its top spot as a global receiver of remittances, according to the World Bank’s Migration and Development Brief, which was release on Saturday. India remittances are expected to total $80 billion (Dh293 billion) this year, followed by China ($67 billion), Mexico and the Philippines ($34 billion each), and Egypt ($26 billion). Remittances to South Asia are projected to increase by 13.5 per cent to $132 billion in 2018, a stronger pace than the 5.7 per cent growth seen in 2017. The upsurge is driven by stronger economic conditions in advanced economies, particularly the United States, and the increase in oil prices having a positive impact on outflows from some GCC countries, such as the UAE which reported a 13 per cent growth in outflows for the first half of 2018. Bangladesh and Pakistan experienced upticks of 17.9 per cent and 6.2 per cent in 2018, respectively. For 2019, it is projected that remittance growth for the region will slow to 4.3 per cent, due to a moderation of growth in advanced economies, lower migration to the GCC and the benefits from the oil price spurt dissipating. Remittances to the Middle East and North Africa region are projected to grow by 9.1 per cent to $59 billion in 2018, following 6 per cent growth in 2017. The growth rate is driven by Egypt’s projected rapid remittance growth of 14 per cent. In contrast, remittances to Jordan are projected to decline by 1 per cent in 2018. Beyond 2018, the region is expected to experience continued growth in remittances, although at a slower pace of 2.7 per cent in 2019. Lower oil prices are expected to moderate growth in GCC countries and remittance outflows will also be dampened by nationalisation policies of Saudi Arabia, notably in sectors banning foreign workers as of 2018. The bank estimates that officially recorded remittances to developing countries will increase by 10.8 per cent to reach $528 billion in 2018. This new record level follows robust growth of 7.8 per cent in 2017. Global remittances, which include flows to high-income countries, are projected to grow by 10.3 per cent to $689 billion. According to the report, remittance flows rose in all regions, most notably in Europe and Central Asia (20 per cent) and South Asia (13.5 per cent), followed by Sub-Saharan Africa (9.8 per cent), Latin America and the Caribbean (9.3 per cent), the Middle East and North Africa (9.1 per cent), and East Asia and the Pacific (6.6 per cent). Growth was driven by a stronger economy and employment situation in the United States and a rebound in outward flows from Gulf Cooperation Council (GCC) countries and the Russian Federation. As global growth is projected to moderate, future remittances to low- and middle-income countries are expected to grow moderately by 4 per cent to reach $549 billion in 2019. 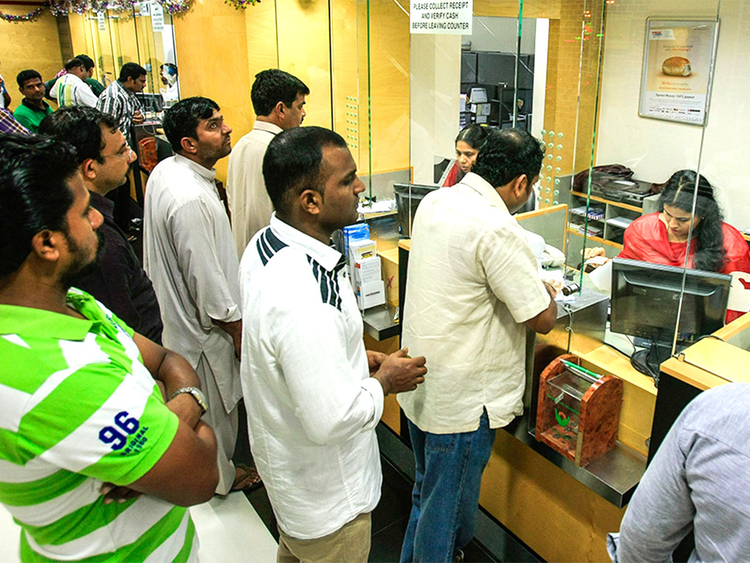 Global remittances are expected to grow 3.7 per cent to $715 billion in 2019. The brief notes that the global average cost of sending $200 remains high at 6.9 per cent in 2018’s third quarter. “Even with technological advances, remittances fees remain too high, double the SDG (Sustainable Development Goal) target of 3 per cent. Opening up markets to competition and promoting the use of low-cost technologies will ease the burden on poorer customers,” said Mahmoud Mohieldin, senior vice president for the 2030 Development Agenda, United Nations Relations, and Partnerships at the Bank. “The future growth of remittances is vulnerable to lower oil prices, restrictive migration policies, and an overall moderation of economic growth. Remittances have a direct impact on alleviating poverty for many households, and the World Bank is well positioned to work with countries to facilitate remittance flows,” said Michal Rutkowski, senior director of the Social Protection and Jobs Global Practice at the World Bank. Remittance flows to the East Asia and Pacific region are expected to grow by 6.6 per cent in 2018, to $142 billion, 1.5 percentage points higher than the growth rate in 2017. Remittances to the Philippines are expected to grow by 2.8 per cent in 2018, lower than 2017’s 5.4 per cent growth. Lower growth is due to the substantial decline in private transfers from the Middle East which fell by 17 per cent in the first 8 months of 2018 relative to the same period in 2017. Remittances to Indonesia are expected to experience double digit growth in 2018 at around 24 per cent, after remaining flat in 2017. Remittances to the region are expected to grow 4.2 per cent in 2019. Remittance flows to countries in Europe and Central Asia remained robust in 2018, rising by about 20 per cent in 2018, reaching a new record high of $63 billion. Improving growth increased outward remittances from Poland, Russia, and Spain, major remittances sources for the region. The Commonwealth of Independent States economies have particularly benefited from the continued rebound in the Russian economy. As the region’s growth stabilises, remittances are expected to grow 4 per cent in 2019. Remittances flows into Latin America and the Caribbean grew by about 9.3 per cent in 2018 to reach $87 billion, led by Mexico and Central American countries. The strong growth in 2018 was driven mainly by the strong US economy and labour market, where the majority of the region’s migrants reside. Improving fundamentals were also seen in Spain, the second largest host of migrants from the region. Intra-regional migration also contributed to the rise in remittances. Remittance growth for the region is expected to slow down to 3.8 per cent in 2019. Remittances to Sub-Saharan Africa continued to accelerate in 2018 and are estimated to grow by 9.8 per cent to $45 billion in 2018. Projections indicate that remittances to the region will keep increasing but at a lower rate of 4.2 per cent in 2019. The upward trend observed since 2016 is driven by strong economic conditions in advanced economies, particularly the United States, where many of the region’s migrants earn their income. In addition, because of large intra-regional migration flows in the region, remittance flows are expected to keep increasing due to projected strong regional economic growth in 2019.